It is that time of the year when cricket fans across the world are bracing themselves up for an all-new edition of the Indian Premier League. The biggest carnival of cricket is going to enter its 12th chapter in 2019 and expectations are going to be as high as ever. With each edition, the tournament has undoubtedly grown in stature as champion cricketers from diverse backgrounds have enthralled millions with their performances. Many talented young cricketers have also established their credentials by virtue of good showings in IPL. The first match of IPL 2019 is going to be played on 23rd March between the Chennai Super Kings and Royal Challengers Bangalore. Before the magnum opus gets underway and new records are scripted, let us rewind and find out about the 3 most consistent performers in the history of IPL so far. Many pundits reckoned that batsmen would call the shots in the franchise based tournament. In fact, it will be unjust to say that they were off the mark. The IPL itself bears testimony to the fact that batting has been redefined in many ways since its inception. But like in other formats of the modern-day version of the game, bowlers have evolved and adapted. Lasith Malinga is one such towering figure who has consistently proved his class in the IPL. He is the highest wicket taker in the IPL with 154 scalps in 110 matches. The Mumbai Indians ‘slinger’ has a bowling average of 19.01 and boasts a strike rate of 16.61. He has an economy rate of 6.86 and has accomplished 4-wicket hauls on 4 occasions besides a 5-wicket haul as well. No wonder he is one of the greatest match winners of IPL. He has been an integral part of the Mumbai Indians set up which has won the title on three occasions. He served as a mentor to the side in the previous edition. But this year the colorful Sri Lankan legend has been once again roped in by the Mumbai franchise as a player. Suresh Raina may not have realized his true potential as an international cricketer even after serving Indian cricket for many years, but he has been nothing less than phenomenal in the IPL. The warhorse of Chennai Super Kings has scored 4,985 runs in 176 matches. He is the highest scorer in the IPL so far, ahead of Virat Kohli, who has amassed 4,948 runs in 163 matches and Rohit Sharma, who has scored 4,493 runs in 173 matches. His records just go on to show the kind of impact Raina has had over the years. He has scored a century in the IPL against the Kolkata Knight Riders and smashed 35 half centuries. With a strike rate of 138.47 and an average of 34.37, Raina has proven to be an invaluable asset for CSK, a team which has claimed the trophy thrice. Raina will once again take the field in this year’s IPL wearing the yellow jersey and given his reputation, he will surely look to script new records with the willow. 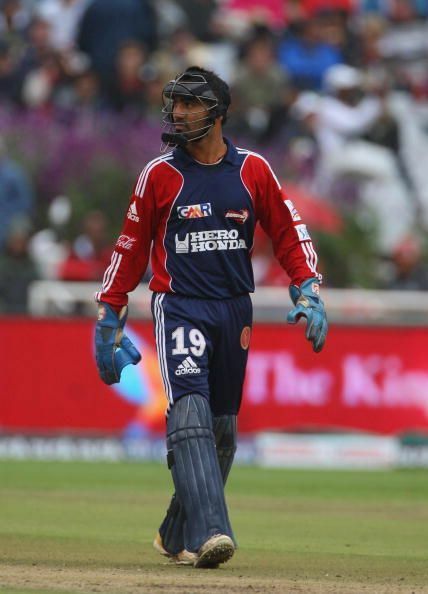 Dinesh Karthik, who has played for 5 different franchises over the years in the IPL, is an invaluable asset behind the wickets apart from being a solid batsman. He is currently the record holder for executing the highest number of dismissals in the IPL. In 168 matches that he has played so far, Karthik has completed as many as 124 dismissals as a wicket-keeper. It includes 94 catches and 30 stumpings. With 116 dismissals against his name, M.S. Dhoni is next on the list followed by Robin Uthappa with 90 dismissals. Karthik was the skipper of the Kolkata Knight Riders in 2018 and he led from the front to score 498 runs in 16 matches. The Kolkata based franchise finished third last year. He will look to start things from where he left and guide his team to their third title this time. 7 Incredible Health Benefits of Pickle Juice: Drink Up!